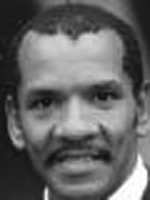 Ralph Carter is best remembered for his role Michael Evans in the TV Sitcom Good Times. Ralph Carter did such a great job holding his own alongside those veteran actors. He stood right up there reading his lines into the microphone with no problem at all. What a serious talent! I am very proud of him. He has become a favorite of mine over the years. what part did Ralph play in this episode? I listened to it and in 1974 Ralph would have been 13 years old. All of the character voices sound like they belong to much older actors. Galen, Ralph played the grandson; the little boy welcoming his grandfather home and awaiting his arrival for a game of checkers.